Apparently based on true events, a group of friends head to Mexico for one last big party and get the virgin buddy laid. The party is cut violently short when one of them is kidnapped. This grows into way more when ransom is not the motive, but a far more sinister objective linked to a drug cartel. 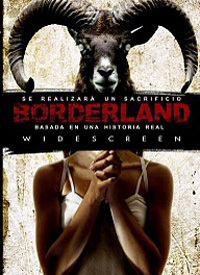 With a gritty look, Borderland is a low budget but effective dark thriller that could easily have fallen apart.